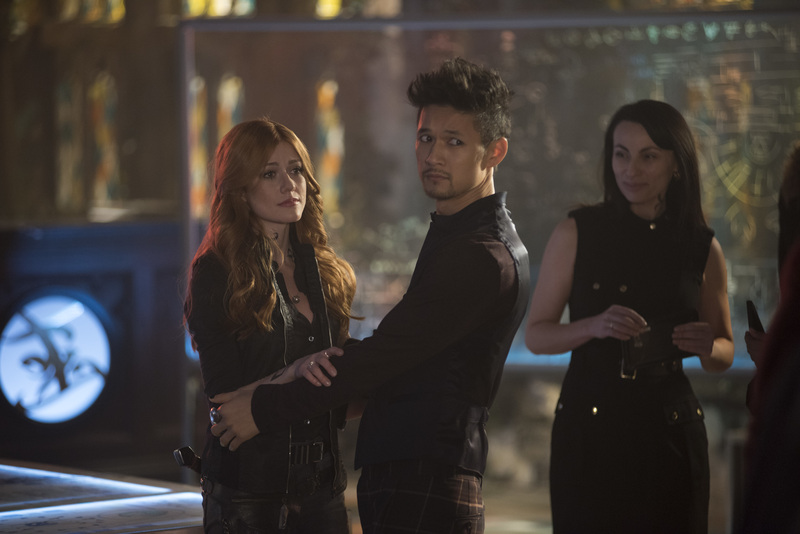 Preview images with spoilers for the Shadowhunters episode "Beati Bellicosi"
“Beati Bellicosi” is the title of the March 11 episode of Shadowhunters and Freeform has released some photos to promote it! Here’s how the episode is described. SHADOWHUNTERS - "Beati Bellicosi" - Jordan and the Praetor try to track down Heidi, while the Shadowhunters try to locate Jonathan. Meanwhile, Luke looks to Maryse for help and Isabelle gets a possible lead on information on what is really going on in the Clave prisons. This episode of "Shadowhunters" airs Monday, March 11 (8:00-9:01 p.m. EDT) on Freeform. (Freeform/John Medland)KATHERINE MCNAMARA, HARRY SHUM JR.